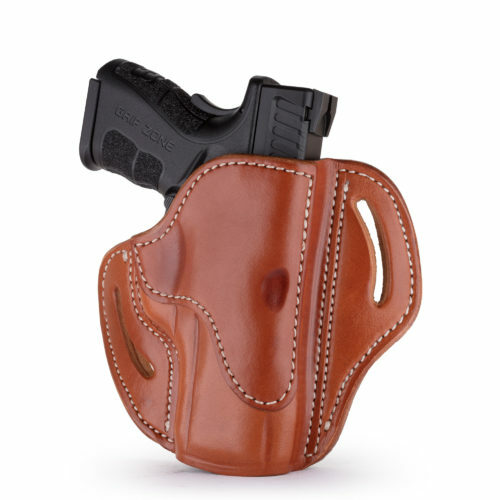 This 3 Way Multi-Fit Outside Waistband Concealment Leather Belt Holster, conveniently referred to as the 3WH, is the ideal balance of quality protection and comfort. Our 3 Way Multi-Fit Outside Waistband Leather Belt Holster, conveniently referred to as the 3WH, is the ideal balance of quality protection and comfort. 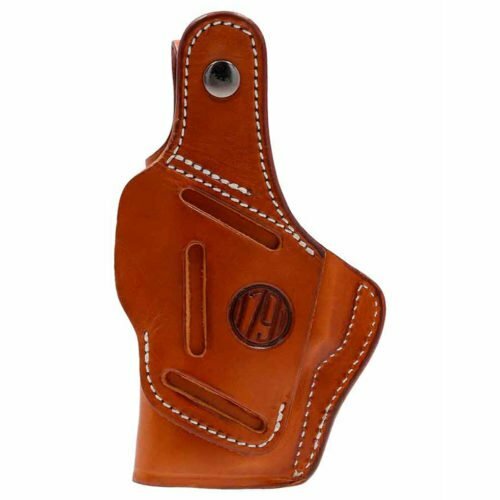 Our 3WH provides complete concealment and convenience, as this holster was designed with consideration to both the protection of your firearm and comfort for you. The 3WH holster allows you to position your firearm on the your belt in Vertical, Horizontal, and Cross-draw cants that accommodate your particular carry-style. 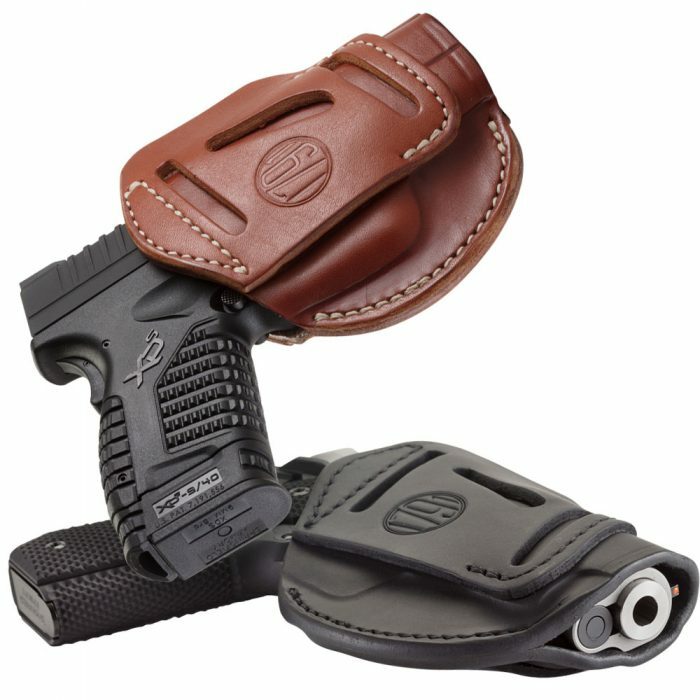 Because this is an ambidextrous holster, both Right and Left-Handed carrying is possible in just one holster. This means that the 3WH can handle all three cant positions anywhere on your belt. This is especially helpful for wearing at the 6 o’clock position on the belt and ensuring an easier draw of your firearm for ease and comfort on your shoulder. Handcrafted using premium 100% Certified American, Heavy Native Steer Hide leather. I have owned a lot of holsters over the years; But I have never seen a more well made leather product than the 3 way from 1791. The leather is clearly of the highest quality; but the craftmanship is the best I have ever seen. These come from the factory. With a very tight fit and they require a few minutes to begin to break in to the gun. But the fit is very good. I have Galco and DiSantes holsters and while those are fine holsters; the workmanship and materials from 1791 are better. But that is only half of the story. 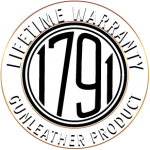 The price point of 1791 holsters is way below the cost of their competition. Without a doubt these guys will be around for a while. As far as I am concerned these guys have won a customer for life. Just received a holster for a 2in J frame. 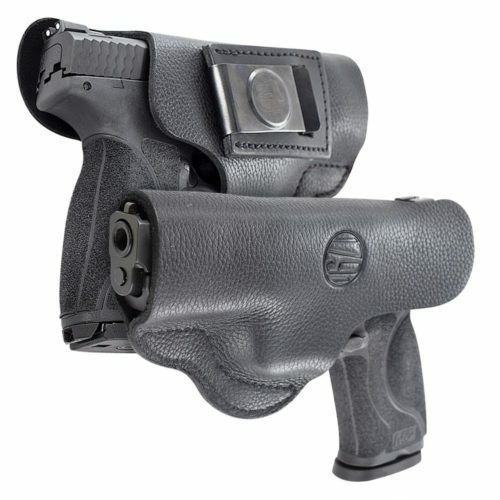 First look told me that this was way beyond the average holster. Took just a few minutes to have the fit I wanted. This was the fastest fit holster to revolver I have ever done. Simply put, I know where my next holster is coming from. Super quality and super good looks. Love this holster! Fits my S&W M&P Shield in .45 absolutely perfect. I am looking for the correct size for my S&W M&P Shield in .380 now. Also need one for my SIG P320 Carryin .40 S&W. Let me know the numbers for these and I’ll by right now.